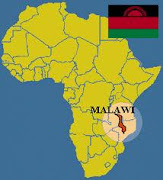 Greetings from Malawi: as things begin to thaw in the Northern Hemisphere, they are beginning to get cooler here. We are in the tail end of our rainy season and God has really given us showers of blessings this month. As many of you know we have been praying for over a year for a new place for our church. The place we were in was crowded, loud, and distractive. We wanted to stay in the area we are currently in because it is central in the city and easy to get to for anyone. We followed many leads, visited many places, even considered trying to buy land. We were desperate. Ultimately, someone in the neighborhood overheard that we needed a new place; and she knew of a man building a hall that we could look at. As it turned out, he was just finishing it and he is also a Christian. We proposed renting it and initially he gave us a price far outside of our budget. We were just honest with him and told him what the threshold of our budget was. He agreed to lower the rent to what we could afford. March 11th was our first day in the new building. We are pinching ourselves that we are the only church on this property. There is no competition, no loud noises of other churches surrounding us. It is perfect for Bible college. Thank you for your prayers! As we prepare for the trip to Zambia, we are blessed with having some visitors before the conference. Craig Awad from the Philippines, who has lived in South Africa and has been involved in missions in Southern Africa for the last 15 years, is visiting us. Also Pr. Bernard Ntalasha, the pastor from the church in Livingstone, Zambia will be arriving tomorrow for one week. The Bible college students are elated to have our guests. The team is amazing, such a help, such a blessing. Also we did our first Baby Dedication with 6 families dedicating their children. One particular family in the church who has been tested with so many trials and they need God’s relief. It has been one health or financial issue after the other.